Since 1992 April has been designated as stress awareness month. This month seeks to raise awareness of the conditions that cause stress and some of the best ways to relieve it. One of the best options for dealing with stress is acupuncture. Acupuncture is proven to be a successful stress reliever and can lower stress hormone levels. Stress can be caused by any number of things. It really depends on the individual person and their individual issues they may be going through. Acupuncture is a viable option for dealing with the stress you are going through and is known to provide great results. If you are suffering from a lot of stress and haven’t found a solution that works for you, acupuncture may be your answer. There are numerous benefits that acupuncture can offer for stress relief and is an effective and proven method. Acupuncture treatments can help release the stress from your body. Many patients who have acupuncture treatments find the process relaxing, calming and pain-free. These acupuncture treatments seek to put the patient in a better state of mind and significantly reduce the level of stress that the individual is going through. Would you like to learn more about how to help reduce your levels of stress through our acupuncture treatment? 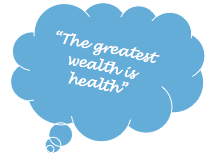 Call our office for your FREE AcuHealth Discovery Session! CLICK HERE To Download Our April Newsletter! Dominick Sembello is a Licensed and Board Certified Acupuncturist and the Clinical Director of Health Source Acupuncture in Linwood, NJ. 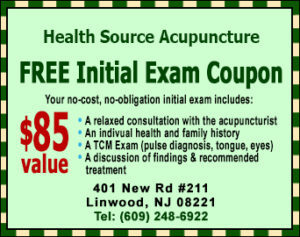 Dominic Sembello – who has written 13 posts on Acupuncture Linwood New Jersey - Health Source Acupuncture. Serving Linwood, NJ and surrounding South Jersey areas. 08270, 08330, 08317, 08319, 08402. © 2006 - 2019 Frank Prieto Strategic Marketing, Inc. - All rights reserved. No content on this site may be reused in any fashion without prior written permission.